A legendary musician and some talented friends invite you to a musical event that to help build a dream. An Evening With Gladys Knight and Friends is coming to the Thomas Wolfe Auditorium Oct. 29. 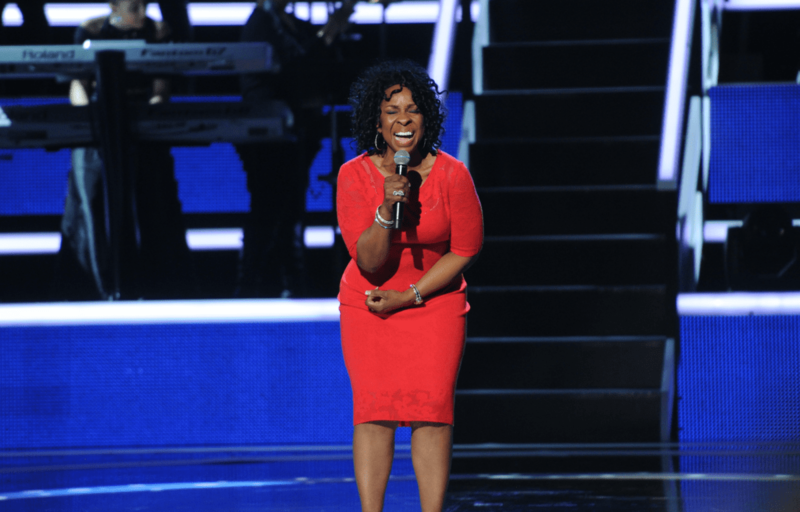 Gladys Knight will perform along with Little Big Town, Asheville’s own Lyric, and other surprise guests. Tickets go on sale Aug. 29 at 10 am. The musical evening benefits the RHS Foundation to create the Reynolds Community Center in Canton. Gladys Knight and her husband, William McDowell, founded the non-profit. It’s flagship project is building the center and funding community programs there. The building once housed a school for African-American students. McDowell was a student there. His direct connection to the community and its residents is what fuels the foundation’s goal to create a cultural centerpiece for Western North Carolina residents. Tickets to An Evening With Gladys Knight and Friends range from $55 to $125 for general admission, and $500 for the VIP experience. VIP tickets include priority seating, a pre-show reception with Gladys Knight and Little Big Town, beverages and hors d’oeuvres, plus access to exclusive auction items featuring vacation packages, sports and music memorabilia, local business gift certificates, and more. You can get tickets from Ticketmaster, at the US Cellular Center Box Office, or by calling 800-745-3000. Mix 96.5 presents Gladys Knight, who will fill the auditorium with her super hits including “Neither One of Us (Wants to Be the First to Say Goodbye)” and “ Midnight Train to Georgia” . “The Empress of Soul,” who was named on VH1’s list of “100 Greatest Women of Rock and Roll,” cemented her Grammy-winning streak with the albums At Last and One Voice and the hits “ That’s What Friends Are For” and “Heaven Help Us All”. She’s also had her fair share of screen time appearing on Benson, The Jeffersons, and A Different World. She earned a Golden Globe nomination for her role in the drama Pipe Dreams . And how about her friends? Asheville’s 105.5 the Outlaw presents Little Big Town, hot on the heels of the wildly successful album Tornado. Little Big Town’s prescription for continued success and creative drive is in the group’s sixth album, Pain Killer. The two years since Tornado’s release have proven to be the most formative and motivational for the inspired family of artists, together since 1998. In the short time since Tornado , Little Big Town earned two number one radio hits with “Tornado” and “Pontoon”, a Grammy, two ACM and three CMA awards and an Emmy. They also found time to headline a sold-out tour, join Keith Urban across North America and host the CMA Music Festival: Country’s Night to Rock twice. These hard-earned accolades and new opportunities provided a steady dose of inspiration at every turn, leading them to a fresh and very intentional approach to their latest studio album. With a keen focus on different vocal and writing configurations, Little Big Town again astounds its fans and critics alike with harmonies that are typically found among voices sharing the same DNA. The group’s strengthening relationships and maturity earned over 15 years together all come together in this masterful production. Gladys and Billy joined us for “Breakfast With the828.com” on Rewind 100.3 to talk about the show, and the exciting vision for the Reynolds Community Center.